Where can I store my luggage in London? Nothing ruins travel like having to lug your bags around. Hundreds of thousands of people pass through London everyday and many face a common question: where can I find luggage storage near me? You can stop looking for lockers to leave your luggage in - Stasher's luggage storage guide has been created to help you solve this problem and get your bags out of the way of a good time in London. If you do find yourself at a loose end, check out our guide to spending time in London. Stasher has a network of hundreds of hotels and local businesses where you can safely store your bags. Insurance up to £1000 per item is free, and our award-winning customer service is available 24/7. ✔️ We are 50% cheaper than station luggage storage facilities or lockers. How much does it cost to store your luggage in London? Where are the StashPoints for my luggage in London? Most of our luggage storage facilities are open 24/7, 7 days a week, so that you don’t have to plan around picking up or dropping off your bag. Be it dinner in one of London's best restaurants, finding the most instagrammable places in London, a night out with friends, or just wandering about the city by yourself, you can easily pick your bags up when it best suits your needs. It’s easier than packing a bag! Use our search bar or our ‘Near Me Now’ button to find the StashPoint that best suits your needs. You’ll immediately receive a booking confirmation email to show to your host with directions on how to get to the StashPoint. There are no lockers available at London King’s Cross St Pancras station. However, there are plenty of luggage storage facilities in the area where you can safely store your bags. Where can I find luggage storage near King’s Cross? There are three main luggage storage facilities available at King’s Cross St Pancras Station, just a 5-minute walk away. Booking online is necessary. Premier Inn King’s Cross, with convenient opening hours and helpful reception. Mail Boxes Etc., just two minutes away from the main station entrance. Nisa, located between King’s Cross and Euston station. Most locations are open 24/7, 7 days a week. It’s £6 per day, and £5 for any additional day. The station services 6 underground lines: Circle, Hammersmith & City, Metropolitan, Northern, Piccadilly and Victoria. Safe to say, London is just an Oyster card away. Trains from here travel as far north as Newcastle, Edinburgh, or Hogwarts! The British Library, Regent’s Canal and Granary Square are all easily reached and worth going to. Where can I find luggage storage near Paddington Station? The luggage storage office at Shakespeare’s Hotel is just a 2-minute walk from Paddington Station. Open 24/7, 7 days a week. Booking online is required. You can store your luggage in Paddington just opposite the station at Charlie's Barber Shop. The main facility is open 24/7, 7 days a week. We always recommend double-checking before booking online. It's just £6 per day, and £5 for any additional day. Stumped for things to do around Paddington? We highly recommend our guide! Paddington is the gateway to Heathrow - the fantastic Heathrow Express is just a 15-minute ride from London's biggest and busiest airport. Paddington is home to the legend of Paddington bear. Learn more about Paddington's story! There are three tube lines connecting Paddington with the rest of the city: District, Hammersmith and City, and Bakerloo line. Regular trains also run from Paddington station to Oxford, Reading, and Plymouth. If you only do one thing, take a stroll around Little Venice, you won’t forget it. Where can I find luggage storage near Euston Station? Premier Inn Euston is located just a 3 mins walk from Euston Station and open 7am - 11pm, 7 days a week. Nisa Euston, ideally located between Euston and St Pancras and a short walk from Kings Cross. This venue is open until 11pm every night. Mail Boxes Etc, right by the main station. Perfect for dropping luggage off if you are travelling to or from Euston or you are visiting the British Library or UCL. Opening times vary according to the specific luggage storage point, we recommend checking online before making a booking. Euston it's a very well-connected part of London, and if you're visiting UCL (University College London), it's the best station. You're also a stone's throw from King's Cross or Camden, two more vibrant districts of the capital. Where can I find luggage storage around Victoria Station? Belgravia Rooms, open 24/7 and perfect for people that are catching a bus in victoria coach station. JRS Shoe Repairs, under a minute walk from the main train station. Opening Hours 8am - 5:30pm, Monday - Friday. Closed Saturday and Sunday. Opening hours vary according to the facility, we recommend to follow the link and check online. The Gatwick Express runs from Victoria station to Gatwick Airport in under 30 minutes. Trains run regularly to seaside town Brighton, worth a visit especially during summertime. The Underground station is on the Circle and District lines between Sloane Square and St. James's Park, and the Victoria line between Pimlico and Green Park. Victoria Train Station was used as the World War I terminus for trains carrying soldiers to and from France. From the train station, you can easily explore the nearby neighbourhoods of Victoria, Westminster and Belgravia. Buckingham Palace and St James' Park are not far, and the Change of Guard is a must see. Where can I find luggage storage around Liverpool Street? R B Mobile, within walking distance of Aldgate East tube station as well as Liverpool Street station. Open until 8pm, may vary during weekends. Most locations are open until late. Nevertheless, we recommend double-checking in order to find the luggage storage facility that best suits your needs. It’s one of London’s busiest stations, connecting the capital with cities such as Cambridge, the East of England and Stansted Airport through the Stansted Express. Check here for more info on the Stansted Express. The station is served by the Central, Circle, Hammersmith & City and Metropolitan lines, making it extremely easy to reach all of London’s main attractions and areas of interest. Liverpool Street station is a short walk away from Old Spitalfields Market and Brick Lane, a haven for all foodies. If you’re looking for quirky coffee shops and hipster culture, head over to Shoreditch. 7. Where can I store my luggage at London airports? Unfortunately, because of security issues, there are no luggage storage lockers available at any of London’s airports. 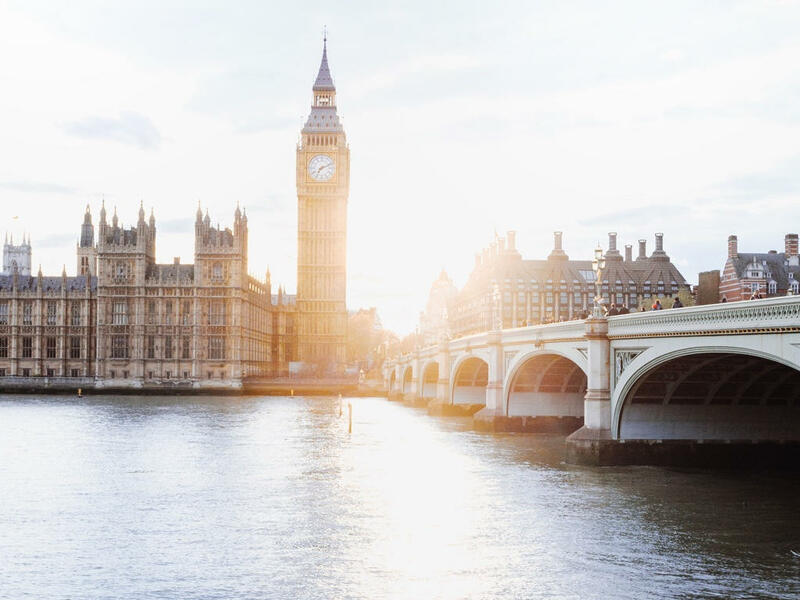 However, there are other options available if you’re in London for a short layover and want to explore the city before your next flight. Premier Inn Heathrow, located at Heathrow Terminal 4, offers luggage storage to non-guests. Luggage storage bookings must be made online. Open 24/7, 7 days a week. No need to plan around drop-off or pick-time, whenever your flight is, you’re sorted. This is the only airport located in London, while the other 5 are in nearby towns outside of London’s jurisdiction. The airport has four passenger terminal and a cargo terminal. Check your flight ticket for details regarding which terminal you should head to. Unlike other London airports, Heathrow is serviced by the Piccadilly line, also known as the tourist line as it connects all major tourist attractions, such as the British Museum, Piccadilly Circus and Harrods. Premier Inn Stansted has a luggage storage office for non-guests, although bookings must be made online. Open 7am - 11pm, 7 days a week. Overnight storage is allowed. Stansted Express easily connects the airport with London Liverpool Street, calling at Tottenham Hale, from just £7. Trains are approximately every 15 minutes. Buses are the cheapest way of getting to Stansted Airport, and sometimes the only option available if you have an early flight. There are self storage lockers at King’s Cross/St Pancras train station. Priced at £20 per locker per day, they can be quite expensive 😲, especially if you can’t fit more than 3 or 4 bags in. These include London King’s Cross, Liverpool Street, Victoria, Paddington, and Waterloo. They also cover some London airports, but they charge at a premium. These are only convenient if you’re staying in London for a short layover and don’t want to drag your bags with you on the Tube. It starts at £6 for 3 hours, while 24 hours end up costing £12.50🤯 making it more expensive than other alternative solutions and more than 2x storing with Stasher. Expect long queues, especially during the weekend. Some hotels might be willing to store your luggage. This could be before check-in or after check-out, but bear in mind that doing this might invalidate your travel insurance and don't bank on it unless your booking confirms they're willing to store your bags. Very few hotels will accept storage overnight.